Avatar -embodied 3D persona with speech skills. Ready to create your own Avatar? Avatars are commonly known as computer (animated) characters representing a real life person, concept or artificial entity. Quite often this term is used to address human-like online assistants representing organizations, commercial firms and brands. These virtual assistants are able to answer questions and perform tasks through conversational dialogs with humans. Avatars are the visual representations of real or artificial intelligence in the virtual world. They look like human beings, human-like (often animated) characters or other living creatures. They are either static, semi dynamic with multiple (emotional) states or are rendered dynamically with complex expressions. They seem to be popping up everywhere on the internet, on smart phones and other internet connected devices. It is hard to draw a line between intelligent avatars which have conversational AI skills and act dynamically, and on the other hand static unintelligent avatars which are just a snapshot taken at a certain point in time. One of the events demonstrating innovations in speech technology is SpeechTEK Europe, which focuses on speech technologies, speech biometrics and voice user interaction design. This event attracts speech technology providers and enterprise customers who implement speech solutions to improve their business performance. The SpeechTEK Europe Avatar Challenge, as organized during SpeechTEK, is a contest for intelligent speech avatars. The Avatar Challenge experts examined a collection of seven newly-developed Avatars designed for a range of business applications. They evaluated quality and usability of these Avatars. Experts’ Prize Winners 2010 in this competition won two Avatars: ejTalk and Humanity Interactive which evolved into Humanity Online. These Avatars were especially engaging due to their appearance, human-like gestures, and human-like voice. One of the manifestations of the ejTalk conversation engine is Avatar Cassandra. This video shows Cassandra’s conversation on the subject of planets with Emmett Coin, technological founder of ejTalk. Cassandra demonstrates multimodal interaction (pointing and speech), emotions and gestural elements. Another great example of an avatar is Santos,which represents the culmination of years of study in modelling, multi-body dynamics and robotics, heralded by ergonomists as a breakthrough in digital modelling. 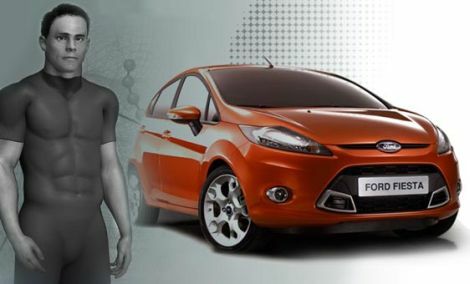 As presented on the picture, it constitutes a highly realistic virtual worker at Ford, which simulates motion and records the actual physical strains of reaching, lifting and stretching. Santos can autonomously walk, talk and answer questions. For example, Santos can perform a task and tell whether over months and years it will cause back strain. Therefore, it allows manufacturing engineers at Ford to make adjustments until they have found the optimal technique to get the job done. Originally Santos was created for the U.S. Department of Defense at the University of Iowa as part of the Virtual Soldier Research (VSR) program to help reduce physical strain on soldiers. Nowadays, this digital avatar allows Ford to improve quality, safety and ergonomics in factories before an assembly line is built. Avatars are becoming very useful while serving in medical industry as virtual patients. They have to understand the doctor’s questions no matter how they are phrased, therefore, scientists working in laboratories use speech processing and natural language processing (NLP), in order to simulate the way patients are speaking to doctors. Digital Animated Avatar, DIANA, is a simulated patient in a simulated doctor’s office projected life-size onto a wall in the Virtual Education and Surgical Simulation Laboratory (V.E.S.S.L.) at Georgia Health Sciences University. This picture shows an Avatar of a 19-year-old woman designed representing real patient interaction. Another research project on Virtual Patients, multi-user virtual environment Virtual Patient Care Simulation Lab, aims to provide a virtual environment for training and education of medical specialists, based on the tools of Virtual World Second Life. This video shows a fully interactive platform for medical training, where users can select individual medications for intravenous injections (IV’s) and tools for patient care. If you would like to build avatars with NLP capabilities, Haptek’s PeoplePutty lets you create your own interactive, emoting 3D characters using simple photographs and your own voice. You can tune a characters Automated Personality into a wide range of “personality types”, as presented on the picture. While creating Haptek’s avatars, you can also add flowing hair, hats, beards, glasses, and other accessories to the virtual character. You can even record your own voice and add it to an Automated Personality. All characters express emotions by build-in gestures and played animations. Available tools assure high-quality lip-synching, building new body-types, clothing, and animation. You can build an Avatar which looks and speaks exactly like you or any other character you want! This video showcases an overview of examples of Haptek’s full-body characters. Our directory page lists a few other tools you can use to create an Avatar for AI chatbots on your website. The term Avatar originates from 1784 and literarily means “descent of a Hindu deity” from Sanskrit (the classical Indian literary language from 4th century B.C.E.). In Sanskrit avatarana means “descent” (of a deity to the earth in an incarnate form), from ava- “down” + tarati “(he) crosses over”. Avatar’s meaning expanded beyond the strictly religious, signifying a personification, an embodiment, an incarnation or a representation of an idea, a concept, an object, a man, or a woman. The word avatar can be perceived as a synonym for English embodied, meaning possessing or existing in bodily form; incarnate, bodied, corporal, and corporate. The first appearance of the term Avatar as a digital representation of a human showed up in the 1985 computer role-playing game Ultima IV: Quest of the Avatar. In this game users tried to achieve the title of Avatar, which meant upholding the “eight virtues” and basically trying to become a better person. Starting from Ultima V: Warriors of Destiny! and later versions of that game, it was the user’s digital representation which was called an Avatar. In its early days, the term Avatar was also used in Habitat, a first large scale commercial multi-user role-playing game with a graphical user interface created in 1986 by Lucasfilm Ltd. for Commodore 64. The players were represented by Avatars, i.e. mostly humanoid in appearance, animated figures. The Lessons of Lucasfilm’s Habitat is a paper about Habitat system written by its designers Chip Morningstar and F. Randall Farmer, and presented at The First International Conference on Cyberspace held in 1990. Shortly afterwards Neal Stephenson popularized and fixed the term Avatar in the computer science lexicon through Avatars descriptions placed in his novel Snow Crash which was published in 1992. Although we use chatbot as the main synonym on this website, please do not be confused. There are more than 161 synonyms in use by academics, business and avatar enthusiasts! It is simply a matter of reading between the lines. Please check out our main directory with 1376 live avatar examples (an overview as maintained by developers themselves), our vendor listing with 256 avatar companies and avatar news section with already more than 370 articles! Our research tab contains lots of papers on avatars, 1,166 journals on avatars and 390 books on avatars. This research section also shows which universities are active in the avatar field, indicates which publishers are publishing journals on humanlike conversational AI and informs about academic events on avatars. Also, check out our dedicated tab for awards, contest and games related to the avatar field, various forums like our AI forum by avatar enthusiasts and add any avatar as created by yourself and your colleagues to our avatar directory. Please do not forget to register to join us in these exciting times. There are numerous cases of alternative usage of the term Avatar. The first alternative usage of the term which is top of mind is a representation of a real life person in cyberspace, used by people who like to have a visual representation aside from their textual exposure on their computers. So, this is not an avatar with artificial intelligence, and certainly not with autonomous behaviour, but just a graphical representation of a real life human being. As shown on the image above, this avatar looks like a small raster graphics icon, often simplified or symbolized, appearing within the messages sent to a discussion on the message board, for the purpose of easy recognition of their registered participants. The term Avatar can also be used as a simplified digital representation yet more realistic image of people, socially used within virtual worlds, such as Moove, IMVU, Rocktropia, Second Life or Entropia Universe. The term Avatar is also used by graphic designers who create 3D Avatars. They have created various tools to develop avatars, which can be considered as the ‘outside’ only and can be applied to artificial intelligence, human intelligence and static images, for example in arts. A tool to create a 3D Avatar is Evolver Avatar Engine which allows you to build an avatar fairly quickly and make it available on dozens of online destinations such as movies in social media, virtual worlds or massively multiplayer online (MMO) games. Another avatar creation tool is Digimi Avatar Studio, a platform for generating personalized avatars created by DAZ 3D-Gizmoz. Avatars created can be deployed in virtual worlds, cross-platform games, social networks, mobile applications and animation tools. It is an easy-to-use platform for generating personalized Avatars delivered in 3D Flash format compatible with all web rich-media, social applications and games. Another environment to create 3D Avatars is Meez. This video shows how, with the use of this social network service, you can create looks, faces, hairstyles and costumes for a character that can be used in online profiles. Another avatar maker is 3DVIA Studio. This tool allows you to create your own online digital persona and put it in virtual environments, as shown on this video. You can also make your own interactive, emotionally appealing avatar by trying CodeBaby Studio. By sing this tool you can create and deploy a realistic 3D character with over 300 built-in gestures, automatic lip-synchronization, and with a variety of backgrounds. These kinds of interactive digital avatars can deliver a highly interactive experience for website visitors, engage your customers in the online experience, and bring the human touch to websites. NetNanny, as demonstrated on this video, is an example avatar generated by CodeBaby Studio . Amongst all platforms, avatars also appear in movies and games, especially role-playing games (RPG), massively multiplayer online role-playing games (MMORPG), and first-person perspective games (FPP). It is expected that avatars, indistinguishable from humans, will be used in movies and their interactive variant will be used in games, played by real humans, and as the incarnation of an artificial intelligent role. movie Avatar, which showcases a remotely-controlled body as an avatar. Created back in 2009 and directed by James Cameron, the main character Jake Sully, a former Marine, is confined to his wheelchair. Despite his disability, he is recruited to the Avatar Program, in which human “drivers” have their consciousness linked to an Avatar, a remotely-controlled biological body. The title of James Cameron’s movie is actually deeply connected with Sanskrit origins of this word meaning ‘incarnation’. To learn more about the movie Avatar from a Hindu perspective, read The religious backdrop to James Cameron’s “Avatar”, an article written by Sita Wadhwani. The concept of avatar within Hinduism is most often associated with Vishnu, the Supreme God in the Vaishnavite tradition of Hinduism. 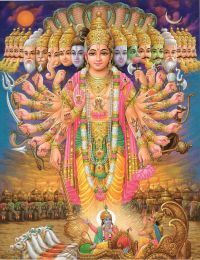 This picture presents Vishnu’s ten avatars that are widely seen as his major appearances. Spiritual teachers use the term Avatar to describe an incarnation of God, a manifestation or appearance of a Hindu deity. This video shows monk and philosopher Yogeesh Ashram explaining “What are avatars in spiritual meaning?”. Avatar is a self-development and self-awareness training program created in 1986 by Harry Palmer, an educator with a background in educational psychology. 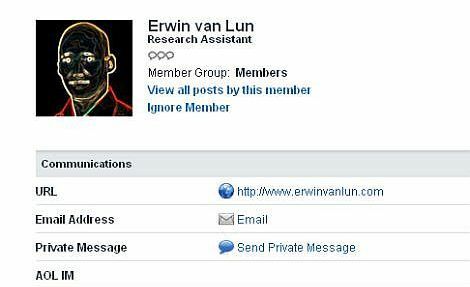 Avatar Press is a name of an independent company which publishes a wide variety of comic books. Avatar is also a name of a Swedish metal band from Gothenburg.